Making a twenty step recipe isn’t something you feel like doing at the end of your day, which ultimately sets you up for failure because you’ll go for a quicker option and more times than not it’s not exactly the healthiest option. 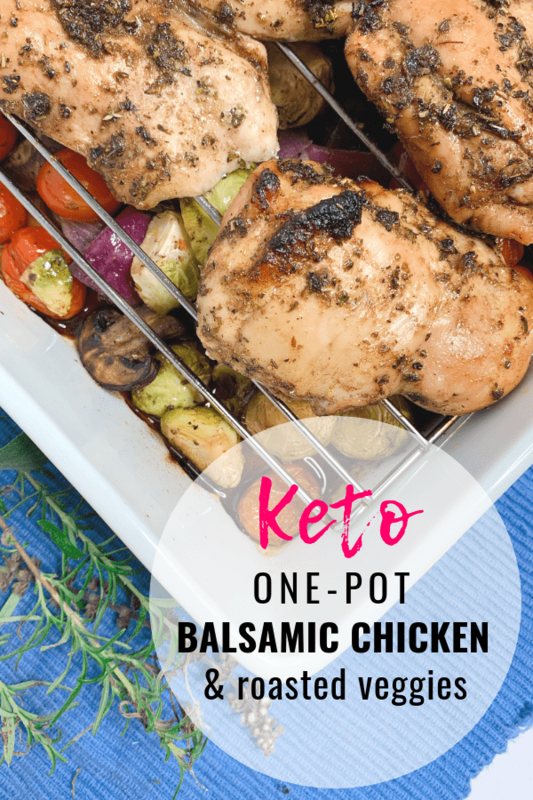 What I’m getting at here is this Keto friendly One-pot Chicken, and Roasted Veggies is a simple, easy Keto Chicken recipe that doesn’t require much effort. It’s the main dish, and a Keto approved side dish all in One-Pot. This recipe is also an excellent keto meal prep idea. Just make the recipe on Sunday, portion it out and you’ve got grab and go lunches for the week! First, place the chicken thighs in a medium bowl or gallon zip lock baggie. Then add in the balsamic vinegar, olive oil, Italian seasoning, garlic powder, Lakanto Golden Monkfruit Sweetener, salt, and pepper. Toss it all around until the chicken thighs are evenly coated and set the bowl or baggie in the fridge. By the way, the Lakanto Golden Monkfruit Sweetener is a substitute for brown sugar. If you’re going to be making a lot of low carb, keto recipes you can grab a small bag for only $7.99, so you’ll have some on hand. Like most recipes, this one-pot chicken recipe only calls for 1/2 teaspoon of the Lakanto Golden so the small bag will last you for a while. Next, Preheat the oven to 425 F and grease a 9 X 13 baking dish. To grease my dish I used Trader Joe’s Coconut Oil spray. I love this stuff for obvious reasons. 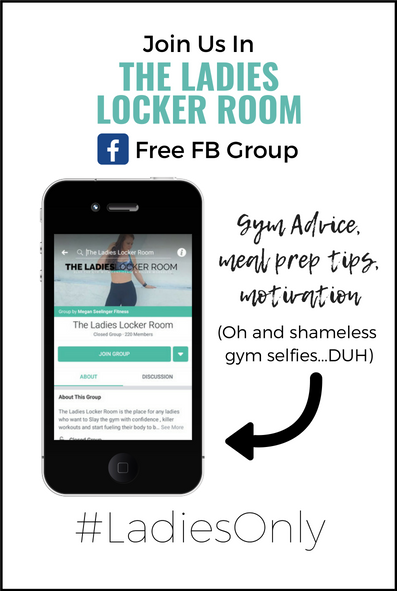 It’s super convenient and much better for you than pam or some other cooking spray. See here we go with the whole simple thing again. Ok so now the hardest thing you’ll have to do is chop up one onion and cut about 10 Brussel sprouts in half (and honestly you could probably leave the Brussel sprouts whole if you wanted). Add your chopped onion, Brussel sprouts, mushrooms, and tomatoes to the baking dish and season with salt and pepper. 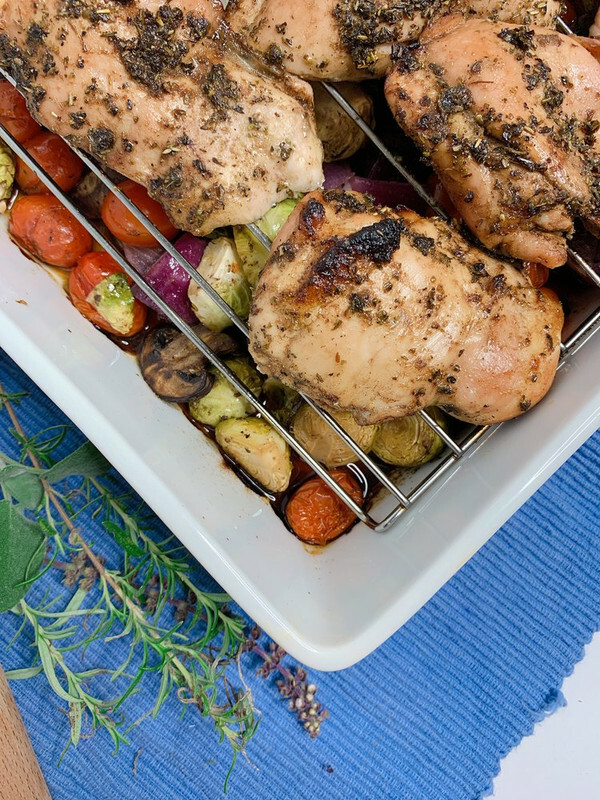 Now you’ll want to place a wire rack over the veggies and place the marinated chicken thighs on the rack. 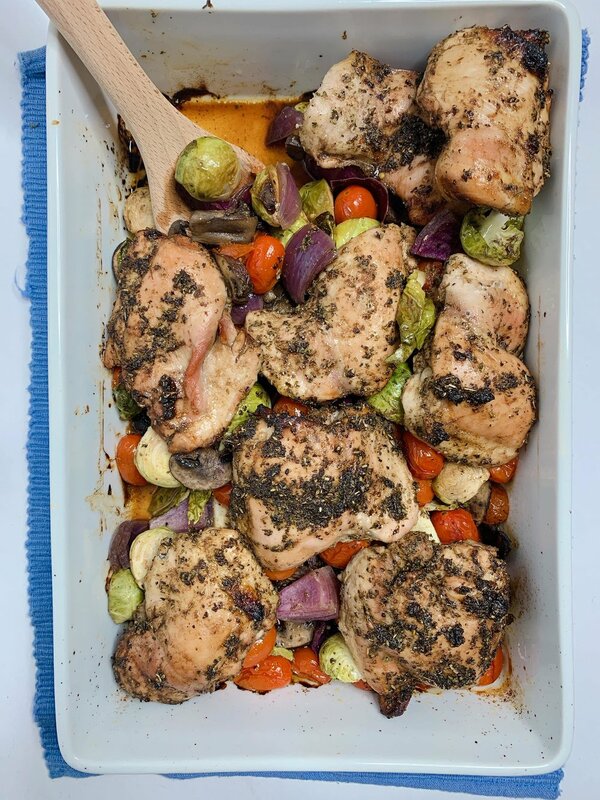 If you put the chicken directly on top of the veggies, the veggies will get steamed rather than roasted, which would potentially make them a little too soft. We want the veggies to get a nice roast, so they're crispy. Finally, bake your chicken and veggies for 25-30 minutes. I set my timer for 25 and decided I wanted to leave it in for another 5 to let the veggies roast a little longer. I recommend setting your timer for 25 to be safe, checking on it and then you can decide if it needs a little more time. Place thighs in a medium bowl. Add garlic powder, Italian seasoning, balsamic vinegar, Lakanto Golden Monkfruit Sweetener, olive oil, salt, and pepper. Toss until chicken is evenly coated. Set chicken aside in the fridge. Add all the veggies to the pan; mushrooms, onions, tomatoes, and Brussel sprouts. Season the veggies with 1 teaspoon of salt and 1/2 teaspoon of ground pepper. 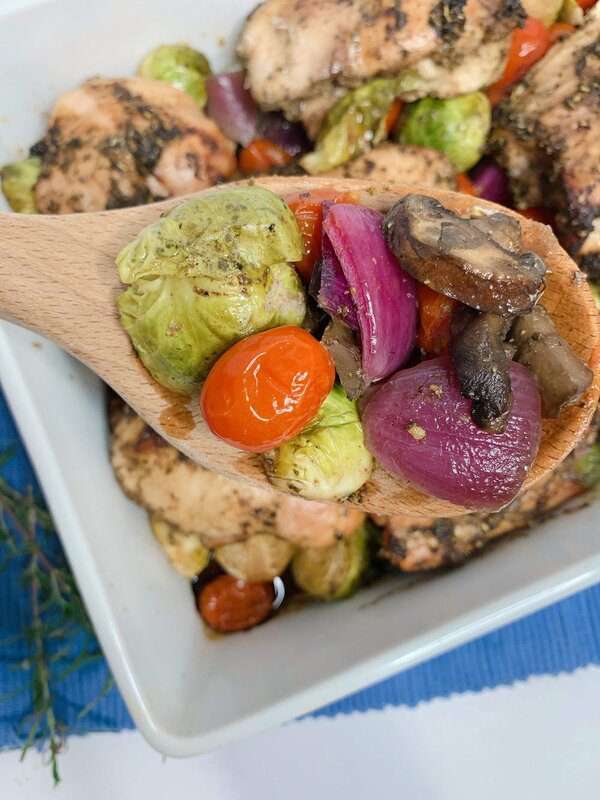 Place a wire rack over the veggies and place the marinated chicken on the rack. (this allows the veggies to roast better, rather than steam) Pour any remaining marinade into the pan with the veggies.